Sprint to launch HTC One on April 19 | Android Blast! OVERLAND PARK, Kan. � April 2, 2013 � Sprint (NYSE: S) today announced Friday, April 19, as the availability date for the highly anticipated new HTC One�, the latest international smartphone with Truly Unlimited� data while on the Sprint Network. 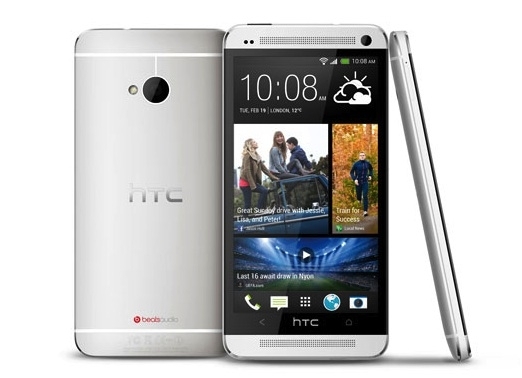 HTC One reinvents the mobile experience by providing users a live stream that feeds personally relevant updates, a breakthrough camera that brings the photo gallery to life and the first dual front-facing stereo speakers on a phone with amplified audio. HTC BlinkFeed� � a bold new experience that transforms the home screen into a single live stream of personally relevant information, such as social updates, entertainment and lifestyle updates, and news and photos with immersive images so the user no longer needs separate applications to find out what's happening. HTC BlinkFeed aggregates the newest content from relevant and interesting sources, giving it to users at a glance, all in one place, without the need to jump between multiple applications and websites. HTC UltraPixel Camera with HTC Zoe� mode � a new feature bringing photos to life showing more personality and emotion than a still photo ever could. HTC Zoe mode gives users the ability to shoot high-resolution HTC Zoe highlights that come to life in three-second snippets. HTC Zoe highlights are then displayed in a unique way in the new gallery, transforming the traditional photo gallery of still images into a motion gallery of memories. HTC BoomSound� � front-facing stereo speakers with a dedicated amplifier and an amazing full high-definition display that brings users closer to their music, videos, games and YouTube�. Beats Audio� integration is enabled across the entire experience for rich, authentic sound. HDR recording uses advanced dual microphones and audio processing to capture clean, rich sound that is worthy of HD video footage. HTC One customers can enjoy an unlimited data experience with Sprint Everything Data plans. Sprint's Everything Data plan with Any Mobile, AnytimeSM includes unlimited Web, texting and calling to and from any mobile in America while on the Sprint Network, starting at just $79.99 per month for smartphones1 � a savings of $20 per month versus Verizon's comparable plan with unlimited talk, text and 2GB Web.